The new Dell XPS 13, despite the idiotic but understandable placement of the webcam, is the best ultrabook on the market. Period. 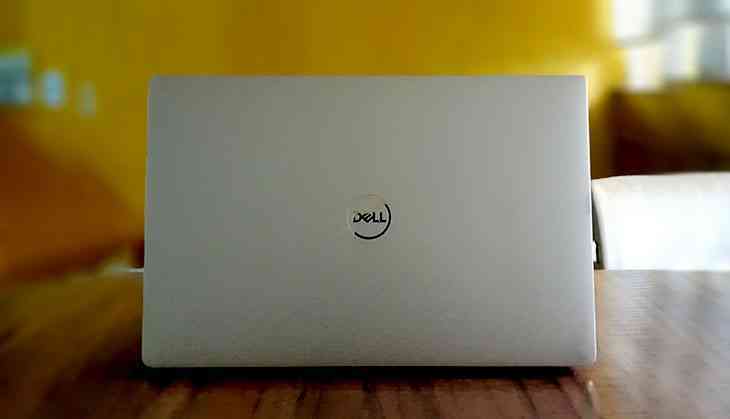 The 'XPS' line of laptops from Dell has been the gold standard of Windows laptops for many a year. 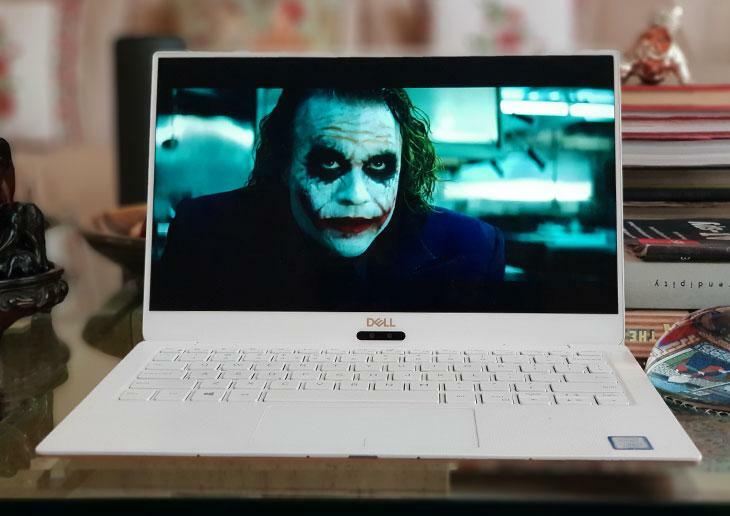 Having used a Dell XPS 15 from many years ago, and more recently, last years Dell XPS 13, I have seen the notebook slowly but surely involving. Having been fortunate enough to test Dell's latest - Dell XPS 13 (9370) - there is one thing that can be definitely said. The brand new Dell XPS 13 isn't cheap. It's more expensive than previous offerings but it justifies its aplomb. 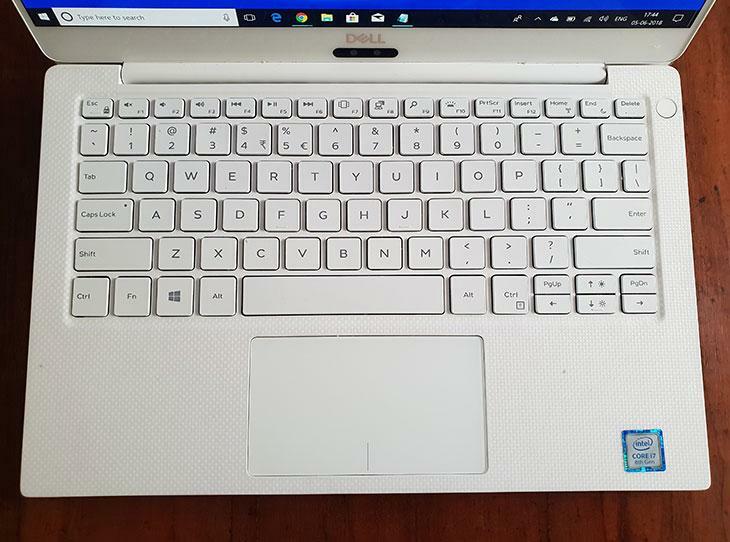 The Dell XPS 13 makes few compromises in the design - lack of ports and stupid webcam placement - but that tradeoff gives you excellent battery life, a slimmed down ultrabook, a gorgeous display and a well built all-round laptop. With a near bezel-less screen, it feels refreshed, refined and polished. For this review, I'm not going to go into excruciating detail. I'm not going to go into the nitty-gritty. I'm going to talk from the consumer standpoint. From a consumer perspective. Since 2012's introduction at the Consumer Electronics Show in Las Vegas, California, Dell has had a serious presence in the 13-inch ultrabook market. In 2015, Dell introduced the “Infinity Edge” display and in 2018, the company is taking it one step further. It's now basically a 13-inch laptop in a 12-inch footprint. Dell started the trend and now the whole market is talking about how much screen they can fit into the frame. Dell may not have reinvented the wheel but at its core, it's, still an XPS. This machine has portability written all over it. I've carried a number of different laptops in recent times and my backpack has never felt lighter than with the Dell XPS 13 in it. It weighs just 2.7 pounds (1.22 kgs) and has a mere 19mm of thickness. It may not be the thinnest or the lightest laptop on the market, but it has a striking design that will be instantly noticed. It's a compact laptop that can fit into any laptop sleeve you throw at it. It will even easily fit on aeroplane tray tables. The cosmetic upgrades aren't really noticeable. They are subtle upgrades. Thinner bezels, a brighter screen and revamped thermal engineering for great heat dissipation. The speakers have been shifted to the sies of the chassis, in line with the space bar. Most importantly, there is a new rose gold version that comes with white bezels. The major differences are under the hood. You can now max out with an 8th-Gen i7 processor, 512GB SSD, 16GB of RAM, and a 4K touch display. Yes, that model comes in over 1 lakh rupees, but it is worthy ever rupee. 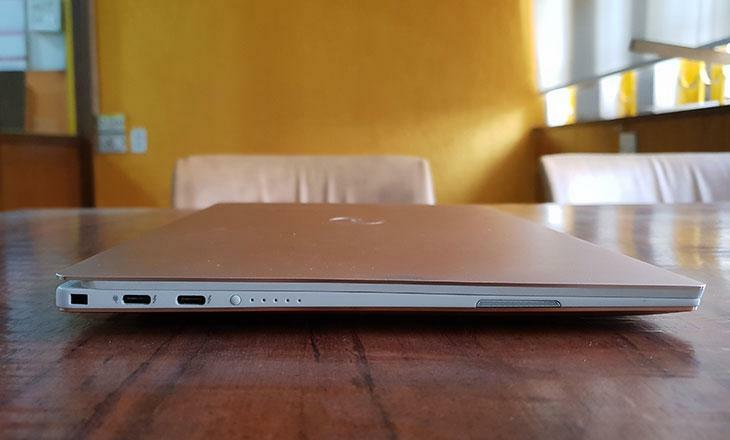 The traditional USB ports have been replaced by three USB-C connectors, one of which is used to charge the laptop. There is a microSD card slot and a headphone jack. Those are the only ports available. Yes, Dell has done it. Dell has been able to provide a chic laptop that has everything that any professional would want in a laptop. The white interior to its rose-gold case will enthral the fashionista in everyone. There is a woven-glass-fibre palm rest that feels comfortable. According to Dell, it is also stain-resistant but I would beg to differ here. 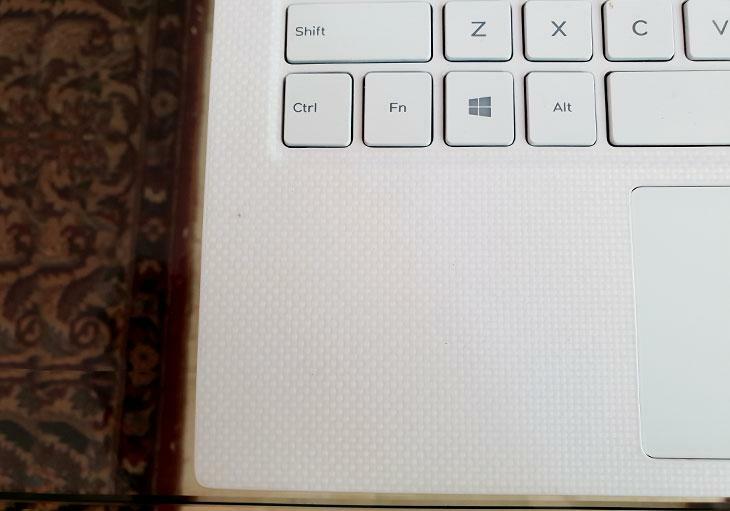 Yes, it is tough to get stains to stay on the laptop but it isn't impossible. NOTE: The average user here wouldn't be trying to get stains onto the laptop, but reviewers have to test the claims to the limit. The backlit keys may be uneven, and the tactile feedback with each keypress may not feel solid but those will be overlooked by the average consumer because of that gorgeous 4K display. The display has been wrapped in a white-bezel. The white-bezel next to the crisp 4K display (3840x2160 resolution) looks absolutely fantastic on a 13-inch laptop. It's luxurious in fact. I tried to watch a number of TV shows and movies - The Dark Knight, Blade Runner 2049 and others - and I came away mighty impressed. With an 8th-gen i7 processor and d 16GB of RAM, the 4K videos from either the hard drive or Netflix play with absolute ease. Just to add to this briefly, Dell has three pillars under the umbrella of Dell Cinema to improve the viewing experience. CinemaColour: Powers the content with a superior dynamic range. CinemaStream: Maximum bandwidth will be channelled for a seamless viewing experience. It really does a good job of improving the overall experience. Yes. The one downside of cramming everything into a lighter and smaller package means that there will have to be some compromises. In the case of the Dell XPS 13, it is the availability of ports, battery life and the placement of the webcam. On the 4K model, I got an average of six and a half hours of uninterrupted usage. Nothing great but also not bad. You can easily get in a day's work with 50% brightness and some other battery saving techniques. It isn't ideal but it's better than high-end laptops of the past. The problem is, the competition has gotten better and the XPS 13 is strictly average in terms of battery life. Choosing the 1080p model and you'll most certainly get at least an hour more of battery life. Picking the 1080p model means also giving up on touchscreen capabilities. All the legacy ports have been axed. There are just three USB Type-C ports, a microSD slot and a headphone jack. That is it. One can charge via any of the USB Type-C ports but not having a single USB-A port is frustrating. One has to live the dongle life if they choose to buy the new Dell XPS 13. Thankfully, but still, frustratingly, Dell provides a USB-C to A adapter in the box. Finally, let's discuss the elephant in the room. The god-awful placement of the webcam. One understands why Dell has done it, but one can't forgive the company for doing it. The new model has moved the webcam from the bottom-left corner of the display to the centre. It has also added Windows Hello integration. It still showcases your face from an up-the-nose angle. While video chatting, one needs to remember not to type or else they'll just be covering the webcam with their fingers. This is my biggest bone of contention with the laptop. Dell had a lot of time under its belt (after all the criticism it received with the last model) to fix the placement of the webcam but it is almost as bad as its previous placement. One can compare it to Samsung's Galaxy line of smartphones. When Samsung moved the fingerprint sensor from the front to the back of the phone, the placement irked people cause they almost always accidentally hit the camera. Then it released a new model a year later and the placement was only 5% better. One hopes that in the Samsung Galaxy S10 (coming out in 2019), the placement will be better. The same is with the Dell XPS 13. One hopes that the 2019 model finally rectifies this long-standing problem. There is always the elephant in the room. Apple. They have the touch bar equipped MacBook Pro. Th Dell XPS is lighter and feels more premium, and the top model outclasses the MacBook by a distance. There is the Huawei Matebook X Pro, but that hasn't come to India. There is also the Surface Book/Surface Laptop that can hold a candle to the Dell XPS. The Surface range of laptops isn't exactly a traditional clamshell notebook though. There is the Lenovo Yoga line of laptops. Somehow those don't feel premium enough, though the foldable nature makes them appealing. Finally, there is Asus' ZenBook UX330. That feels premium, is cheaper, but it has a trackpad that is less reliable and isn't as portable as the XPS 13. Oh, and one more. The HP Spectre x360 that just launched in India a couple of days ago. I'll reserve my verdict on it but my first impressions of it are that it can be a serious competitor. I don't need to go into any details to tell you that this laptop flies. It flies at supersonic speeds. It takes absolutely anything you throw at it and processes it with aplomb. From 4K videos to editing on Adobe Premiere Pro and playing video games. Multitasking is a breeze. If one can get over all the sacrifices Dell had to make then they'll be truly rewarded. What Dell offers is a best-in-class display, an attractive and light package (portability for the win) and powerful processing power under the hood. It's fast and sturdy and there is that eye-catching rose gold colour option available. 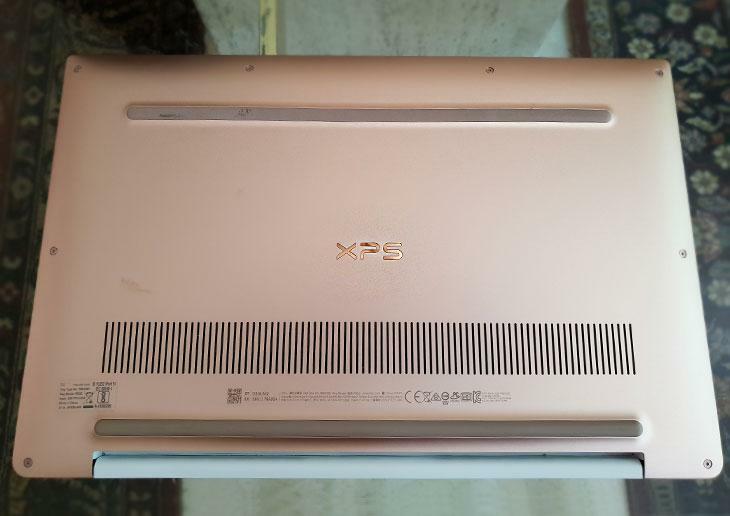 The Dell XPS is by no means cheap - starting at Rs. 94,790 - but you get best-in-class performance with a gorgeous 4K touchscreen display for all the money you'll be spending. The Dell XPS 13 may not be the revamp one was expecting but its upgrades are significant enough to surge ahead of the competition and keep the XPS line of laptops as the best ultrabooks in the market. It's basically a near-perfect ultrabook that doesn't run hot at any moment in time. This is the ultrabook to beat.